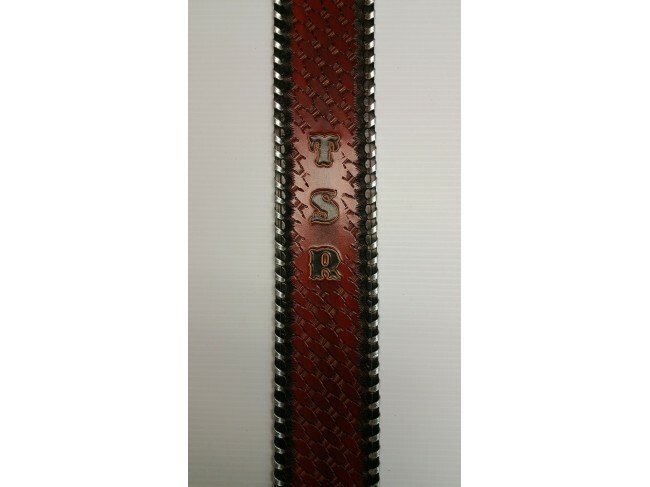 This is one beautiful strap. 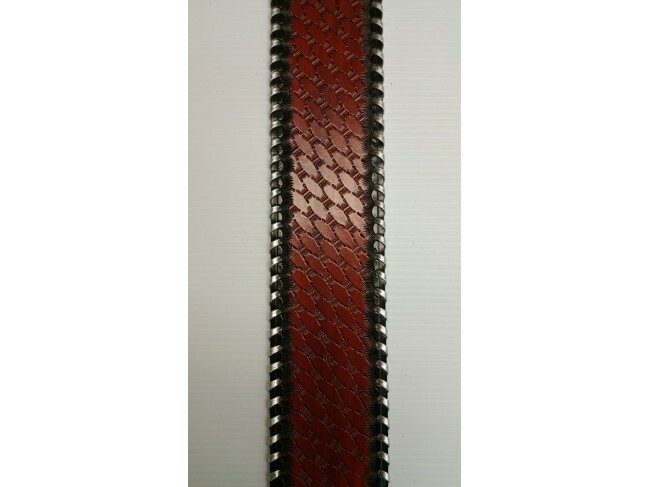 This strap is 3" wide from end to end with a short adjustment, it is wrapped in metallic lacing (shown in Dark Brown). 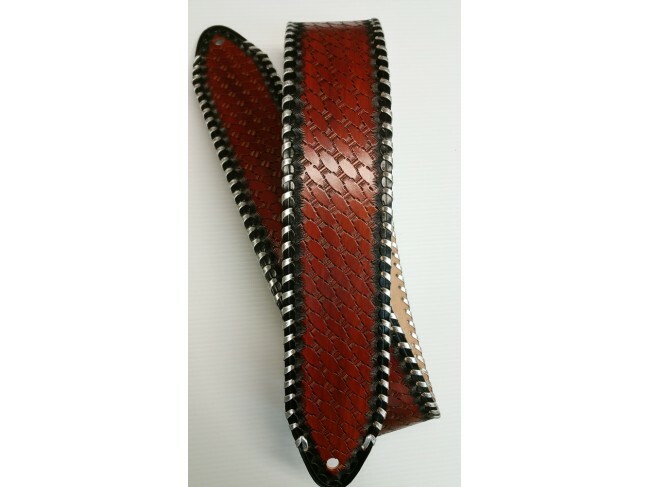 This strap looks great with or without a name, you choose the background color.